Robot toys are hot news right now, and we as consumers are always looking for the next best thing in terms of interactivity and intelligence. We are a big tech-based family, and we love a good gadget particularly my seven-year-old son Henry who is OBSESSED with the way things work. 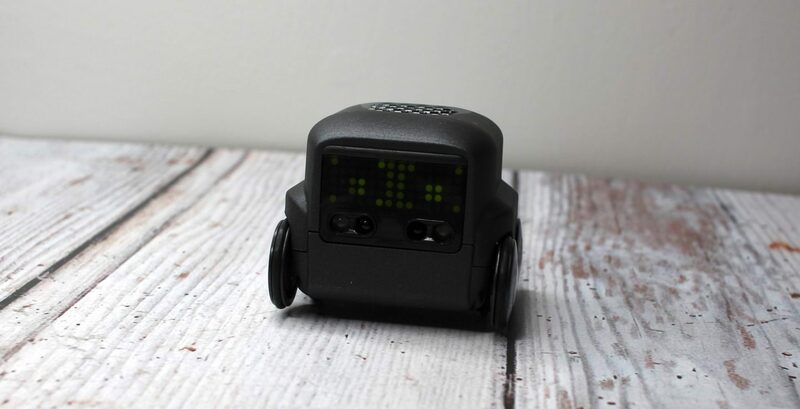 We have recently been sent *Boxer an interactive robot from, and we have been putting it through its paces to see how it stacks up. 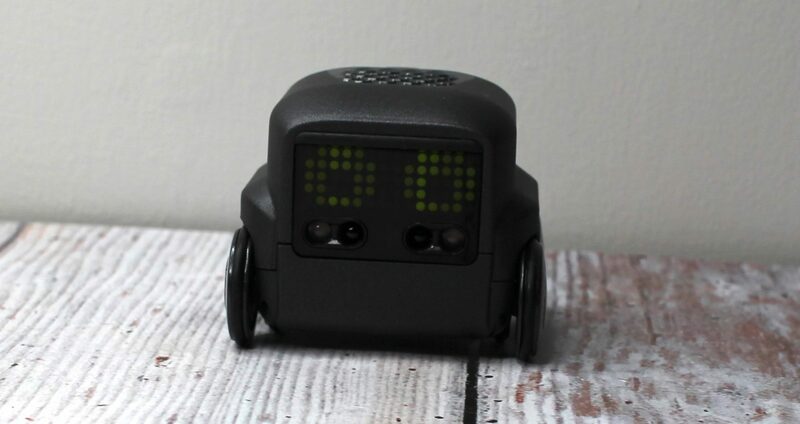 Let’s start with the basics – Boxer is an interactive A.I Robot toy priced at around £79.99. Targeted for children aged six years and older Boxer runs on 3 x button cell batteries which are included. There is no assembly required, and Boxer is ready to go as soon as you take him out of the box. 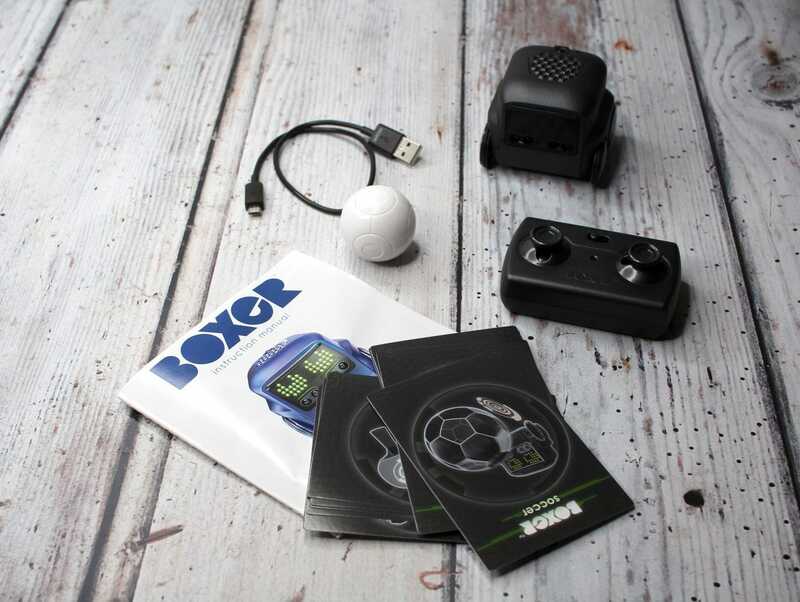 Boxer is primarily made up of multiple sensors that make him respond to hand gestures and movements. In support of this, you also get ten activity cards included that Boxer will ride over and scan. Each card unlocks a new game that you can play along with him. There is also an app available for your phone which contains even more games to play together. Remote Control Mode – you control Boxer’s movements using the remote control provided. 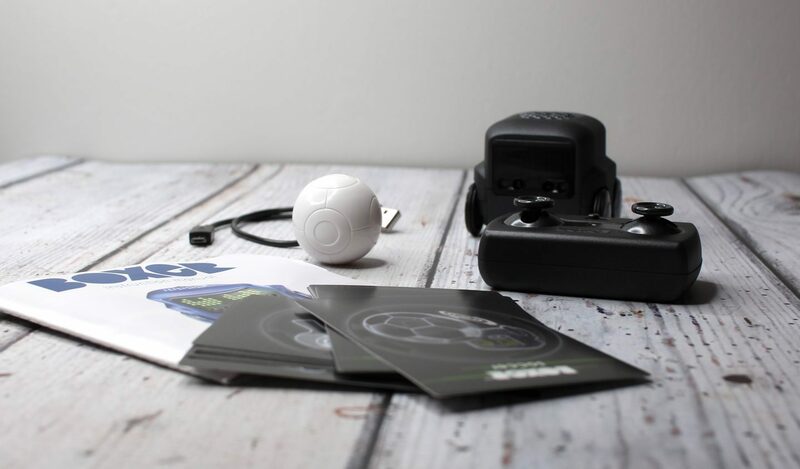 Play Mode – Boxer responds to movements and gestures. APP Mode – you can interact and play with Boxer by downloading the app. Game Mode – Using the ten included game cards. Play mode is where I feel Boxer really comes into his own. There are so many ways to interact with him, and it is a lot of fun putting him through his paces. My first concern with anything that requires batteries is the runtime. Often a toy requires hours of charging for only minutes of play which is frustrating. I was however impressed with Boxer, and the battery held it’s charge for an exceptional amount of solid play without requiring charging. Charging Boxer is easy using the USB charging cable provided and he can only be charged when switched off. While charging the LED on the rear will blink. When fully charged the LED will remain solid. Per full charge, you get around one-hour full play. Boxer is an extremely intelligent robot that can express a full range of emotions from sadness to happiness. Even though this toy is particularly smart, it doesn’t pose a problem for the younger generation, and Henry (aged 7) was able to get the hang of it quite quickly with little input from me. I would say that it is quite an adaptable robot and could be just as entertaining for older people too. Regarding build quality, I would have to say that Boxer is well made and put together. I loved that there was no assembly required or batteries to add and I was overall hugely impressed with the quality. I have found in the past that A.I toys often make bold claims and statements, but often they cannot perform as well as anticipated which usually leaves me disappointed. On paper Boxer sounds like an exciting and intelligent toy but could he really live up to my expectation? I have been playing around with him for a few days, and I have also witnessed Henry play with him too, and I have to be honest I have been left pleasantly surprised. If you are looking for a next level robot toy, then I dare say that this could well be it! At around £79.99 Boxer certainly isn’t a pocket money toy however in comparison to similar toys on the market I would say that you are getting value for money. There are many different elements to Boxer and more that can be unlocked using the app so I definitely wouldn’t feel short-changed after purchasing.